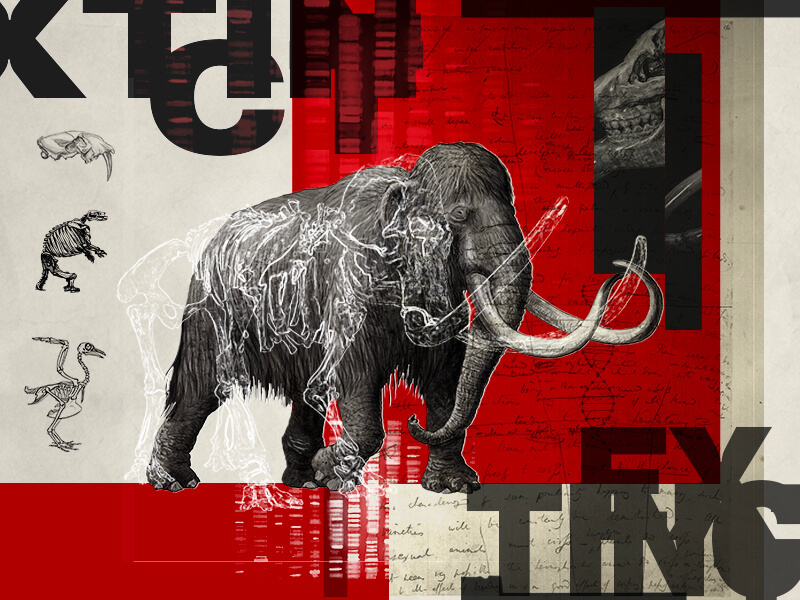 Environmentalist Stewart Brand, who founded the Whole Earth Catalog, and Harvard professor Dr. George Church, who is working to revive the woolly mammoth, will argue in favor of de-extinction. Debating against them and against de-extinction will be Dr. Ross MacPhee, curator at the American Museum of Natural History, and evolutionary biologist Dr. Lynn J. Rothschild, a senior scientist at NASA’s Ames Research Center. * Dr. Ross MacPhee: Curator, Department of Mammalogy, Division of Vertebrate Zoology, American Museum of Natural History Dr. Ross MacPhee is the former chairman of the Department of Mammalogy at the American Museum of Natural History, where he has been curator since 1988. Known for his paleomammalogical research on island extinctions, he has focused his most recent work on extinctions occurring during the past 50,000 years, or “Near Time.” He is the author of the new book “End of the Megafauna: The Fate of the World’s Hugest, Fiercest, and Strangest Animals” (Norton, 2019). Dr. MacPhee has also collaborated with geneticists and molecular biologists to develop the new tool of “ancient DNA” for studying the ultimate collapse of Pleistocene mammals. * Dr. Lynn J. Rothschild: Evolutionary Biologist & Astrobiologist Dr. Lynn Rothschild is an evolutionary biologist and astrobiologist who focuses on the origin and evolution of life on Earth, while at the same time pioneering the use of synthetic biology to enable space exploration. She is a senior scientist at NASA’s Ames Research Center as well as an adjunct professor of molecular biology, cell biology, and biochemistry at Brown University. Since 2011, Rothschild has been the faculty adviser of the award-winning Stanford-Brown iGEM team, which has pioneered the use of synthetic biology to accomplish NASA’s missions, including the human settlement of Mars. * Stewart Brand: Co-Founder, Revive & Restore & Founder, Whole Earth Catalog Stewart Brand is a futurist, environmentalist, and proponent of de-extinction who promotes the use of science to preserve the planet. He is the co-founder of Revive & Restore, which facilitates extinct species revival, and the Long Now Foundation, of which he is co-chair and president. He was the founder and editor of the award-winning Whole Earth Catalog and is the author of several books, including “Whole Earth Discipline: An Ecopragmatist Manifesto.” In 2013, Brand organized the TEDxDeExtinction conference in partnership with the National Geographic Society. ABOUT INTELLIGENCE SQUARED U.S. DEBATES (IQ2US) A non-partisan, non-profit organization, Intelligence Squared U.S. was founded in 2006 to address a fundamental problem in America: the extreme polarization of our nation and our politics. Their mission is to restore critical thinking, facts, reason, and civility to American public discourse. The award-winning debate series reaches over 30 million American households through multi-platform distribution, including radio, television, live streaming, podcasts, interactive digital content, and on-demand apps on Roku and Apple TV. With over 150 debates and counting, Intelligence Squared U.S. has encouraged the public to “think twice” on a wide range of provocative topics. Author and ABC News correspondent John Donvan has moderated IQ2US since 2008. The only speaker who’s been previously mentioned on this blog is George Church. In particular, 2018 seems to have been his year although it’s possible 2019 may beat that record for appearances on this blog. Why not monetize your DNA for 2019? (Jan. 14, 2019); scroll down to the ‘Bockchain and crypto me’ subhead for more about George Church and his startup company. First CRISPR gene-edited babies? Ethics and the science story (November 28, 2018) scroll down about 20% of the way to see an excerpted piece with Church’s comments. I found it at the movies: a commentary on/review of “Films from the Future” (November 22, 2018) Dr. Andrew Maynard’s 2018 book ‘Films from the Future’ features a chapter on Jurassic Park and a discussion featuring Church and de-extinction; scroll down to the Jurassic Park subhead for the excerpts or read the book. This entry was posted in public engagement, public perceptions, science communication, science philosophy, science policy and tagged American Museum of Natural History, Brown University, de-extinction, Don't Bring Extinct Creatures Back to Life, End of the Megafauna: The Fate of the World's Hugest Fiercest and Strangest Animals, First CRISPR gene-edited babies? Ethics and the science story, George Church, Harvard University, I found it at the movies: a commentary on/review of “Films from the Future”, Intelligence Squared US (IQ2US), Lynn J. Rochschild, NASA Ames Research Center, resurrection biology, Ross MacPhee, Stewart Brand, US National Aeronautics and Space Administration NASA, Whole Earth Catalog, Why not monetize your DNA for 2019?, Xenotransplantation—organs for transplantation in human patients—it’s a business and a science on January 18, 2019 by Maryse de la Giroday.